Tarset Archive Group (TAG) is run by volunteers in the community and will be 15 years old in the autumn of 2018. Our main aim has been to set up a digital archive for the area, and we have already collated and recorded a large amount of new information. Our interests range widely from archaeology and geology to social and cultural history, as well as covering the ecology of the area and the current state of biodiversity. It was delegated Tarset 2050 CIC's remit for environment and heritage in 2010. TAG works by setting up projects which anyone in the community is welcome to join or initiate. We also commission and produce work, like the Tarset photograph archive which Simon Fraser shot over a two year period and produced local feature card sets drawn from this. In 2006 we published the Tarset Atlas of Archaeological and Historical sites. This drew on and expanded the number of sites recorded in the Archaeological Practice's Historic Village Atlas (section for Tarset and Greenhaugh), published by the Northumberland National Park in 2004. TAG's Atlas has since been updated first as a Gazetteer, and now has been mapped onto GIS. In 2009 we published a set of cards, Bastles in the Upper Tarset Valley, to coincide with the Bastle Weekend. This event was the culmination of a major project on the area's many bastles (the fortified farmhouses that typify Tarset's violent reiving period). 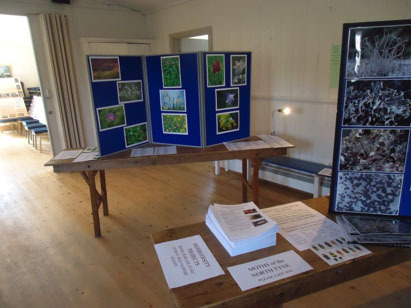 In 2010 we opened Tarset Castle for a heritage day with an accompanying exhibition. Exhibition boards about Tarset's bastles and Tarset Castle are available for loan on request. 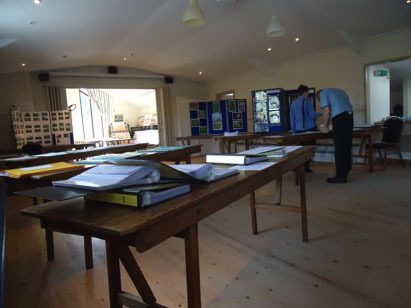 Other exhibitions and open days are run from time to time, usually bi-annually. In 2011 TAG was invited by the Forestry Commission to design new information boards for the Sidwood bastle trail. These were designed and produced by TAG with funding from the FC and Tarset 2050 CIC, and installed in 2012. 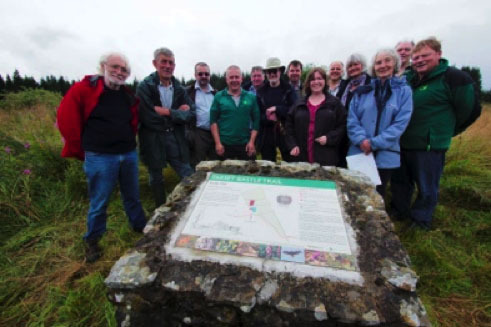 For the first time an information board was also installed for the Iron Age settlement in Sidwood, with funding assistance from the Northumberland National Park. TAG does not undertake any conservation action itself except in very exceptional circumstances, but it does actively lobby to protect heritage under threat. Amongst other things, it has lobbied the Forestry Commission for protection of the lichens on the sheep stells at Sidwood, and the state of bastles under their care (Shilla Hill and Boghead). Both bastles have since been conserved and feature on the bastle trail. It helped raise funding to renew the old railway gates at Thorneyburn Crossing, a project with the NNPA. 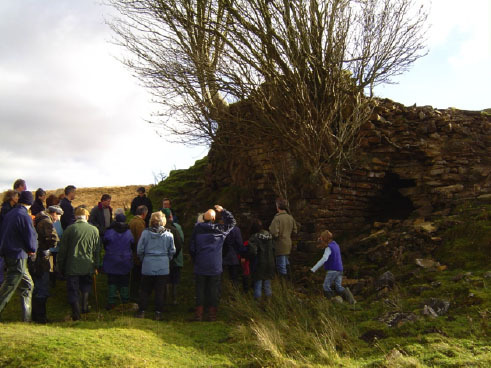 TAG is responsible for English Heritage placing Tarset Castle on the heritage-at-risk register in 2008. 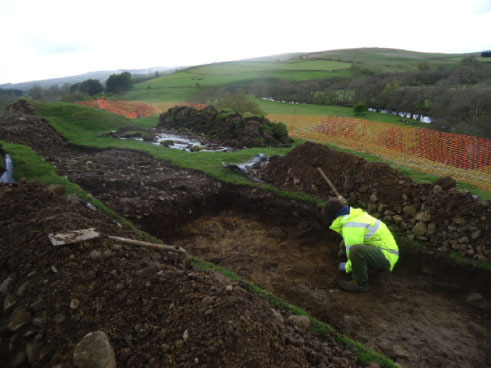 This initiated conservation planning and a decision by Historic England in 2015 to 'conserve by record', with archaeological investigation carried out by Durham University Archaeological Services, and work to strengthen the river bank by the Tyne Rivers Trust. Some of the excavation conclusions are disputed. This includes digitisation of all data held, and both archaeological and biodiversity site records have now been mapped onto GIS. The site Gazetteer which was compiled by a former member of the group and which identifies 600 sites with all information updated, is also being digitised and made available through the web. As an adjunct to the GIS records, TAG has also produced a booklet listing all recorded species in Tarset, which was compiled by Bill Burlton on behalf of the group. The Tarset and Greystead Biological Records 2015 is available online, or can be requested on application to tarsetarchivegroup@btinternet.com. Further work to investigate the deterioration of Tarset Castle’s slopes was completed in 2015 as result of a link-up between TAG and Durham and Newcastle University engineering departments. In the absence of any further work, the landowner approved more work to be carried out by G.W.Moore and Sons with the approval of DEFRA. Recent recording surveys include regular Moth Trapping through the summer months, with NNPA Ranger, Shaun Hackett; Stone and other Lichens with Dr Janet Simkin, County Lichenologist, and a site-specific Waxcap survey, again with NNPA Ranger, Shaun Hackett. Earlier surveys included verge flowers, grasses, fungi, trees, winter birds and water mills. A very, very long battle (lasting 14 years !) to conserve the wild flowers in our verges and prevent cutting (except on critical sight-lines) before seed has been set, has at last achieved success with the help of the Northumberland National Park and the co-operation of Northumberland County Council. Future meetings, activities and events are posted on noticeboards at the Village Hall, Greystead and Greenhaugh. They also appear in the Tarset News, in the North Tyne Notes, and on the community events page. TAG is always happy to be joined by community members or to help launch new projects. It is currently working with a Visual Arts in Rural Communities project.